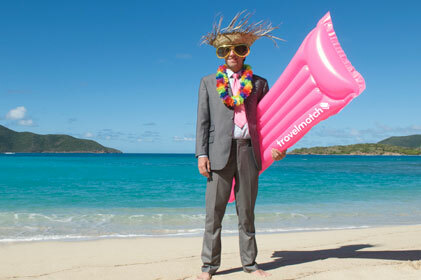 Mischief PR has begun a three-month project to promote new holiday comparison site Travelmatch.co.uk. Following a competitive pitch, Mischief will promote the brand to consumers via travel and news outlets both online and in traditional media. Travelmatch.co.uk allows users to search for their ideal holiday by selecting a number of specific requirements. The site is described as ‘a revolutionary site… that for the first time ever allows customers to search for holidays using any requirement they may have, rather than the usual destination, date and budget that other holiday sites require'. The site was in the news recently after it carried out an exclusive survey, revealing that 34 per cent of post-wedding trips booked in the past year were for four weeks or more, compared with an average of just 1.5 weeks 20 years ago.